ON the opening day of the Olympics, the BenRiach Distillery Company is delighted to have won two golds, five silvers and a bronze medal! The Edinburgh-headquartered company is celebrating eight awards, not at London 2012 of course, but at this year’s International Wine & Spirits Competition, the world’s most prestigious wine and spirit contest. The results were announced today (27 July) in London. IWSC medals and trophies are the most highly regarded in the trade, representing the best of the best in the world of wines and spirits. The IWSC is judged by a panel selected from 300 fully-qualified and experienced industry judges. Noted for its intense and unrivalled judging process, the IWSC is proud to be the only competition of its kind that conducts a full blind tasting with extensive technical analysis. 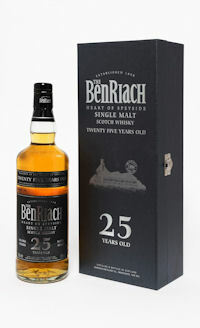 BenRiach’s Sales Director Alistair Walker said: “We are really pleased by the results of this year’s competition and I suppose it’s quite fortuitous that the medals were awarded on the opening day of the Olympic Games! Sweet, creamy vanilla, with hints of ginger. Autumn fruits. 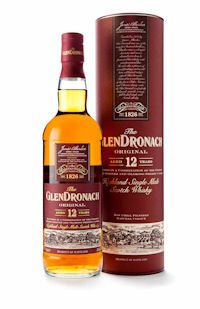 Images of the BenRiach 25yo and the GlenDronach 12 yo attached.